Opaque abstract bottom and rails, clear deck inlay in a gloss and polish finish. Single 3/16" Redwood stringer. Black & white Takayama Oval logo on deck. Big forward swept fin patch, single center fin box; Takayama fin included. 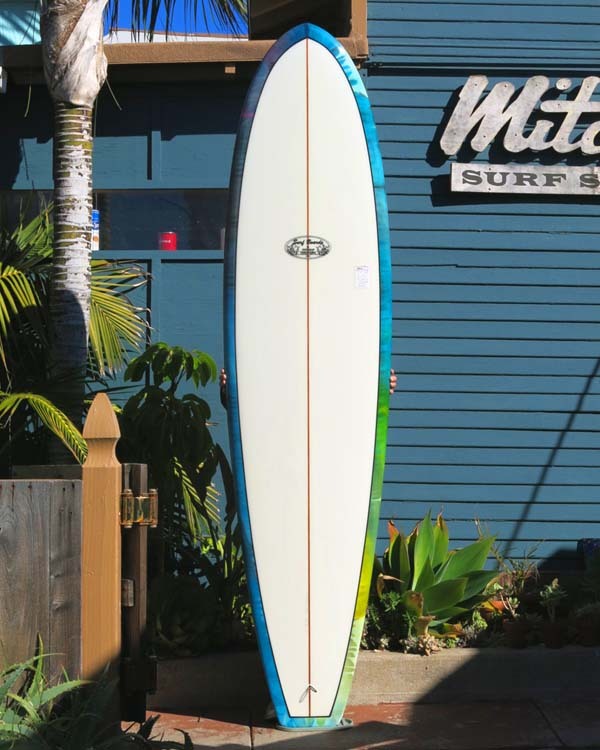 Length: 7' 10" Width: 22 5/8" Thick: 3 1/8"
Nose: 17 5/8" Tail: 14"